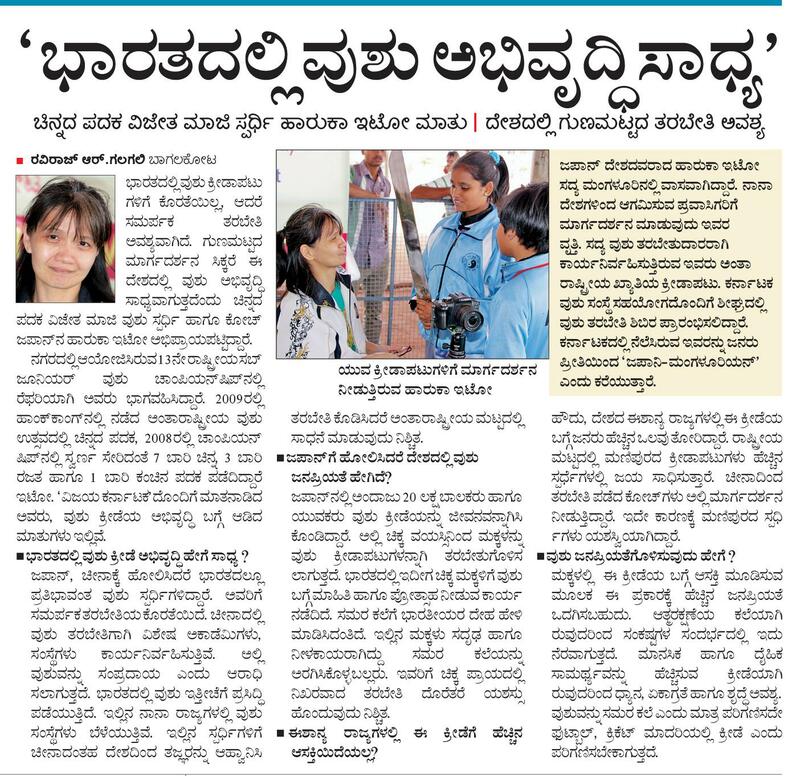 We are grateful to Vijay Karnataka. 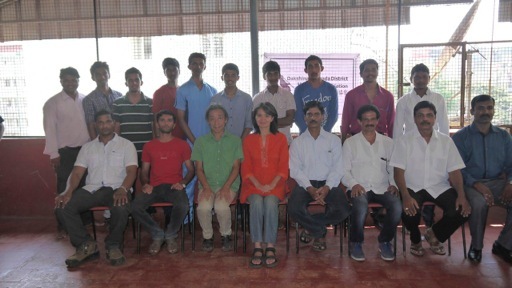 AINA BP Director Satoru Komori and Haruka Ito attended Inauguration Function of Dakshina Kannada District Wushu Association(DKDWA). Haruka Ito is Technical Director of DKDWA. Satoru Komori is PR(Public Relations) Director of DKDWA. DKDWA motto is promoting Wushu, Chinese Martial Arts(well known as a name of Kung Fu), great oriental heritage culture in district, to provide multiple benefits for all ages people, not only for youth and children. We need all of your support. 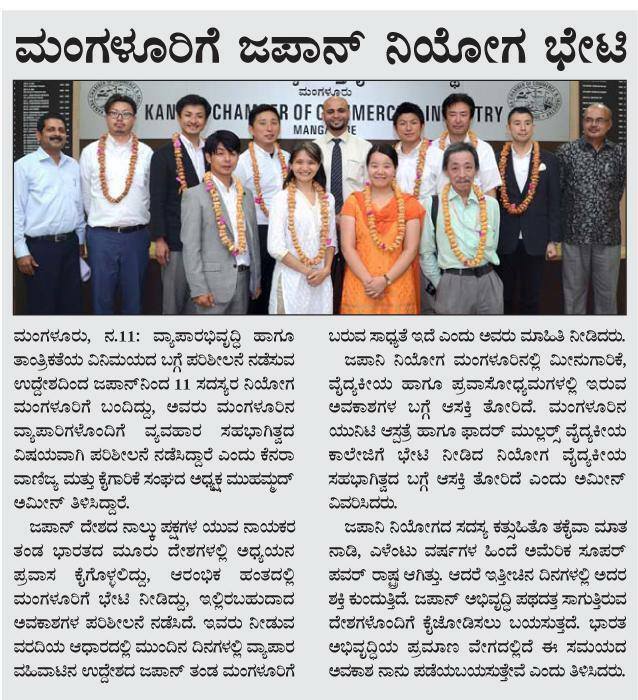 AINA BP Director, Satoru Komori and Haruka Ito have covered on English news portal website “megamedia news” October 27th 2015 edition and “Manipal World News” October 28th 2015 edition. *Coverage pages are as below. 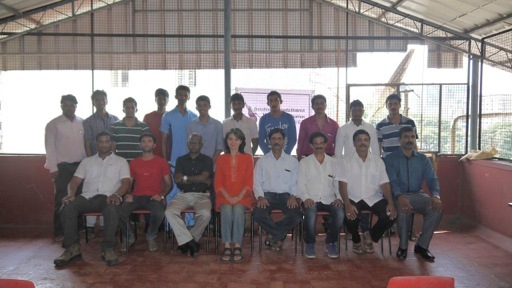 We are grateful to Vartha Bharathi. 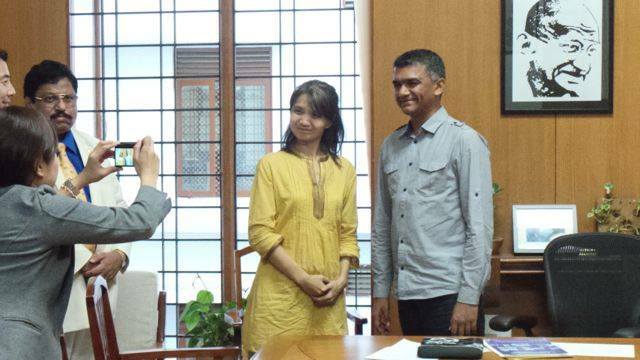 AINA BP Director Haruka Ito With Karnataka State Agriculture Minister, Hon Krishna Byre Gowda.